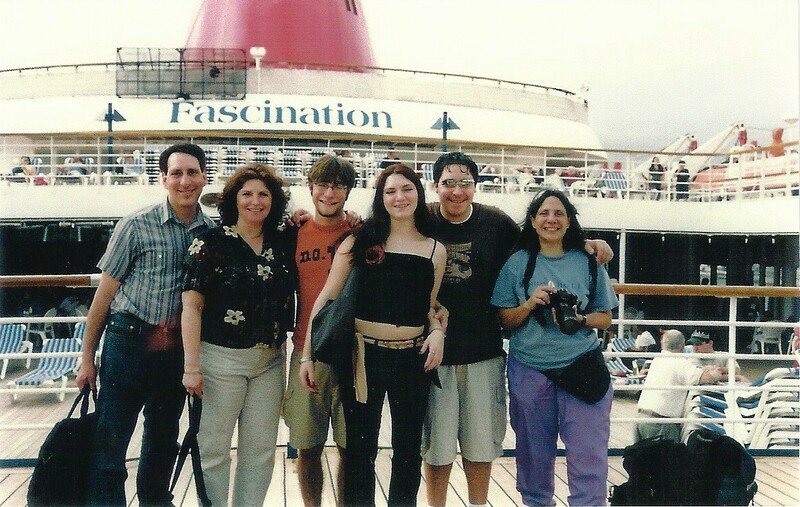 A cruise is a fabulous way for families to spend the holidays together. Truly festive atmosphere – After Thanksgiving, the cruise lines get in the holiday spirit by decorating their ships from bow to stern. Some cruise lines spend in excess of $100,000 annually on holiday decorations. Christmas trees, lights, garlands and even artificial snow bring the festive season alive at sea. Hanukkah customs and celebrations also are observed. Religious services of all types are often held aboard.2. Special guests – Christmas-time cruises would not be complete without guest appearances from Santa, Mrs. Claus and their elf friends. They make appearances on many ships during the holiday season in the spirit of fun and relaxation leading up to Christmas Day. As expected, Santa’s bag of goodies is full for the kids on board.3. New Year’s fun – Ringing in the New Year is a splash aboard a cruise ship. Elaborate parties take place at sea for people of all ages and tastes. Special food, entertainment, toasts, party favors and more make the night memorable. For sports fans, many of the cruise lines offer special all-day tailgate parties to watch New Year’s Day football. 4. True relaxation – Leave the hustle and bustle (and accompanying stress) of the holidays behind and enjoy a more relaxed atmosphere with the family on a cruise vacation. There is no better way to spend an afternoon in December than lying poolside while sailing across the ocean, or snorkeling through a secluded reef on a cruise line private island. 5. Unique gifts – A cruise vacation is one holiday gift that will be truly appreciated. Plus, there is interesting shopping onboard the ship (The Jackie Kennedy Jewelry Collection on board the Golden Princess is quite reasonable and very beautiful) and in various ports. Special shipping arrangements can be made to get the gifts home. If Santa is going to visit the kids, the cruise lines recommend small token gifts that are easy to hide and transport. Leave big gifts at home to open before or after the trip and remember not to wrap presents before you stow them in your luggage, as they may need to be opened for security reasons. 7. Great food– Nobody goes hungry on a cruise vacation, especially during the holidays. A variety of eats are available 24/7. Cruise menus fit the season, with world-class chefs preparing traditional Thanksgiving and Christmas meals, plus special kosher foods during Hanukkah. There are no shortages of gingerbread, cookies, pies and other deserts. Even better… you don’t do the cooking! 4-Night Western Caribbean Cruise on the Royal Caribbean International Brilliance of the Seas sailing Nov. 27, 2014, or sailing Dec. 20, 2014: round-trip Tampa, Fla., with stops in Cozumel, Mexico; with two days at sea. 5-Night Western Caribbean Cruise on Royal Caribbean International’s Brilliance of the Seas sailing Dec. 24, 2014: round-trip Tampa, Fla., with stops in George Town, Grand Cayman; Cozumel, Mexico; with two days at sea. 3-Night Bahamas Cruise on the Disney Dream, sailing Nov. 28, 2014: round trip Port Canaveral, Fla., with stops in Nassau, Bahamas; and private island Castaway Cay. 5-Night Western Caribbean Cruise on the Disney Wonder, sailing Dec. 21, 2014; round trip Miami, Fla., with stops at Cozumel, Mexico; and Castaway Cay; with two days at sea. Crown Cruise Vacations was named North America’s Leading Cruise Travel Agent 2013 by the prestigious World Travel Awards, which acknowledges excellence across all sectors of the global travel and tourism industry. Crown Cruise Vacations is the preferred provider of Artful Traveler’s PTV at Sea cruises, which enrich, inspire and entertain with informative programming presented by some of public broadcasting’s most acclaimed personalities. Cruise specialists at Crown Cruise Vacations provide exclusive offers, value and service and can assist with cruise information and bookings for all types of cruises. For more information and to book a cruise call 877-283-1114 toll-free USA/Canada, 609-945-9801 direct dial or visit www.crowncruisevacations.com.